Portfolio website plays a very important role for any web designer. Basing on the fact of how it looks and what it contains, the client decides whether he will or will not hire you. You can look through dozens of portfolio website examples and learn something from them, but when you will decide to make a portfolio website, you need to take these crucial aspects into account! Date of creation of your portfolio will help the customer to understand for how many years you were involved in the web design field. Dates, when the news was added, will tell your customer how serious you are about your website. Dates, when works were added, will show your customers if you are in great demand. No matter how beautifully you design your work, the simple picture will never replace the impression of a really working website, which allows you to fully explore the design and, again, assess the level of designer’s work. Be sure to place some links to websites that you have created. Most of the designers take on projects of any orientation; yet almost every web designer has his own specialization – the creation of online stores, landing pages, design for WordPress websites. You can mention your specialization in different ways – by filling the portfolio with certain works or by placing a clear message on the main page. These can be design skills, layout or even the ability to do certain things much faster than other designers. Give all this info in the “About Me” section! By informing the client about your abilities or what techniques you use when creating a new design, you increase your chances of getting a new customer. Although there are customers who have no idea what they need, most of the clients still have at least a vague idea of what they want to receive as a result. Therefore, studying the designer’s portfolio, the client is looking for the works that are similar to his needs. Fill your portfolio with works made in various styles, which will significantly increase your chances to be chosen! Try to stand out in the crowd and accompany your work with various comments. For example, these could be descriptions of the works: what were the requirements, how the work process was going, and even what techniques and tools were used to create the design! As a designer, you will definitely like to get new high-paying orders, but it will not be so easy to get them. However, you have a secret weapon, and this is your personal portfolio website. All you need is to place a call-to-action button on the main page, but it is better to make it a bit special! Instead of the typical “Contact us”, use other phrases, for example, “Order your own masterpiece” or “Order an excellent design”, etc. So the call to action button will look more attractive! 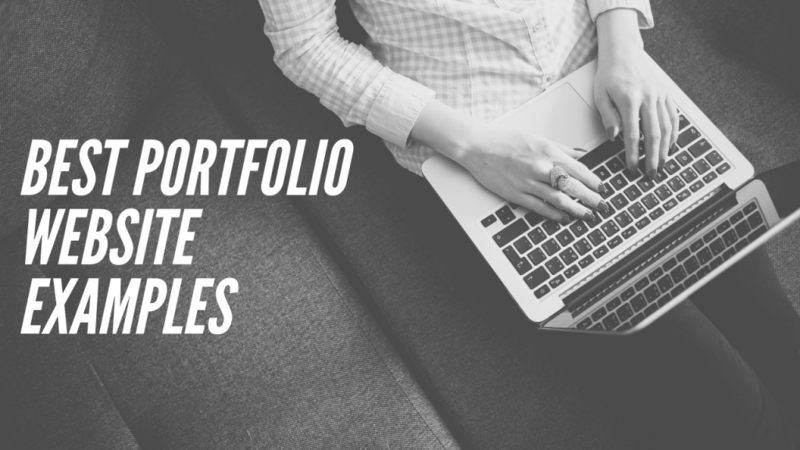 The easiest way to show your skills to a potential customer is to make a stylish and well-designed portfolio that will clearly and flatly tell everyone about your talent. You have to constantly maintain, update your portfolio, add new works, replace the old projects with the new ones, update photos with the more successful and high-quality ones. Remember that a portfolio is not only your business card but also the main source of your new customers! Some awesome news in the New Year 2019 for all of us who study and practice Digital Marketing, now creating portfolio pages and simple websites become much easier! Now You can create a portfolio page or a website in less than an hour for free! Weblium.com DIY, first website builder of the fifth generation, that will not allow you to make stupid mistakes on your website with AI supervisor integrated with the website builder. We take care of all integrations, templates (btw now you can mix them to create your own), we recommend you color schemes, we add all the analytics so you would have a ready-made website in 45 minutes. It is free to use – check it out if you like it, let me know, I will share with a discount for a professional tool for your work.